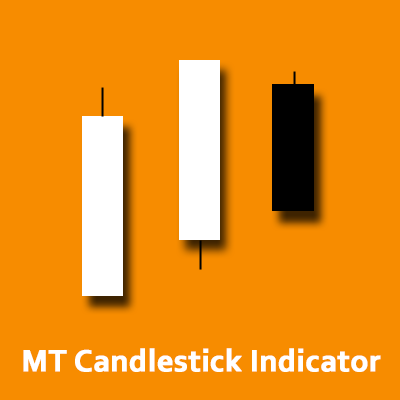 This indicator will find any of the common candlestick patterns. 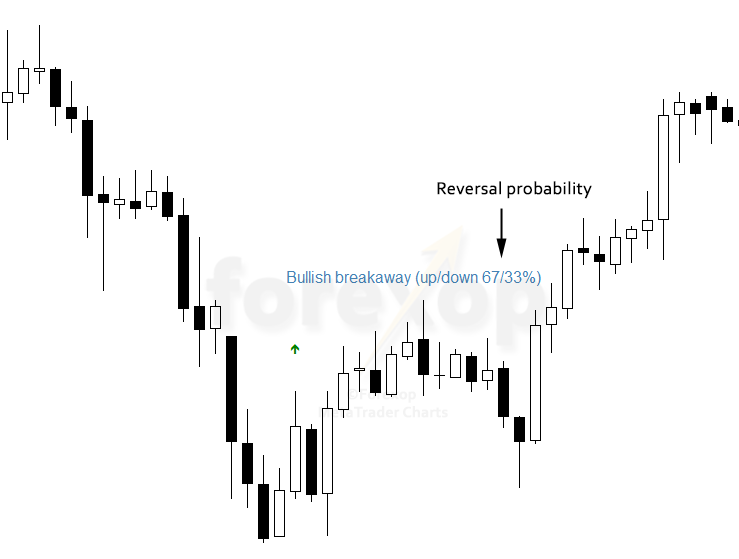 It can also display a reliability score by learning the candle pattern’s success history. The indicator uses machine learning to learn the success rates of each pattern for a particular chart, time frame and date range. The probability of the market moving up or down is calculated and displayed for each occurrence. 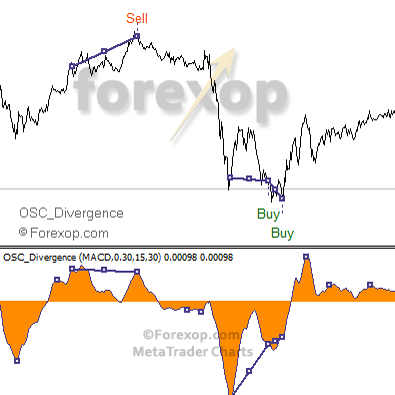 This lets you see how reliable any technique is under real conditions and will allow you to find trade entries where the risk/reward is to your advantage. This data will give a good indication of when to use a pattern and when treat it with more caution. Or even see where it’s more advantageous to trade in the opposite direction as a contrarian. 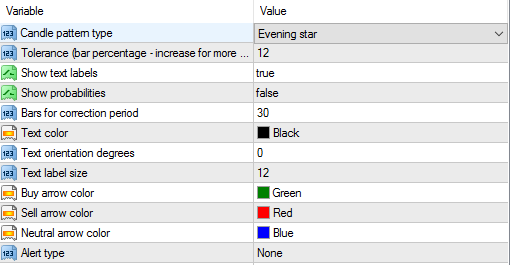 The time span over which the reliability score is calculated can be set by changing the “Bars for correction period” input. The tool has a few inputs that allow it to be configured as needed. The input screen is below. The most important of the inputs is the pattern type, which is the first select box and the tolerance. The tolerance determines the quality of the patterns that are displayed. A lower tolerance will filter out all but the strongest patterns. A high tolerance will display more patterns, including borderline cases that don’t meet the stricter criteria. 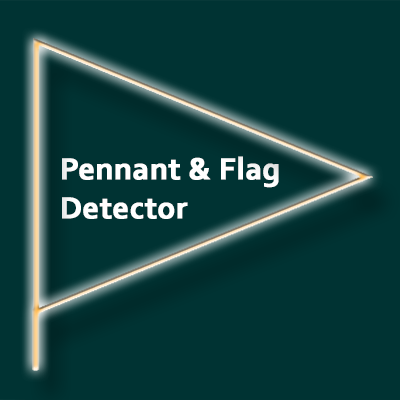 The tool can create alerts to notify you when a new pattern is detected. These can be displayed in the terminal or sent to your phone or email address.